Iporuru (Alchornea Species) is known as other name: Alchornea castaneifolia, Iporoni, Iporuro, Ipurosa, Macochihua, Niando. The herbal plant called the iporuru is found in the tropical forest along the Amazon and in certain parts of Africa - it is shrub of humid tropical forests. This shrub tends to grows along the low lying plains which often turn into swamps during the heavy rainy season in the tropics. The Iporuru plant can be considered a shrub like small tree that can grow to about eight or ten m in height when fully mature. The iporuru has a light brown colored bark and bears violet colored flowers when in full bloom. The iporuru is found in large numbers over extensive ranges in the lower elevations and the flood plains of the Amazon River system in South America. Iporuru is found in the moist, humid and tropical forests of South American, in countries like Peru, the republic of Argentina, in Bolivia, Brazil and Colombia, as well as Paraguay, and Venezuela to the north. The heavy use of penicillin can facilitate the dreaded emergence of bacteria that are resistant to the medicine's effectiveness. In this regard, iporuru has found success where other green healing agents have failed. Research indicates that it has the power to stop the growth of penicillin resistant strains of E. Coli, Staph and Aspergillus bacteria. The leaf is made into an aphrodisiac tea, which doubles to treat impotent males and bring relief to women suffering from difficult menstrual periods. Tinctures made from the bark and roots provide dependable relief from coughs, colds and diarrhea, as well as from arthritis and rheumatism. Malaria and leprosy also hold spots on the lengthy list of ailments that diminish in the presence of iporuru. 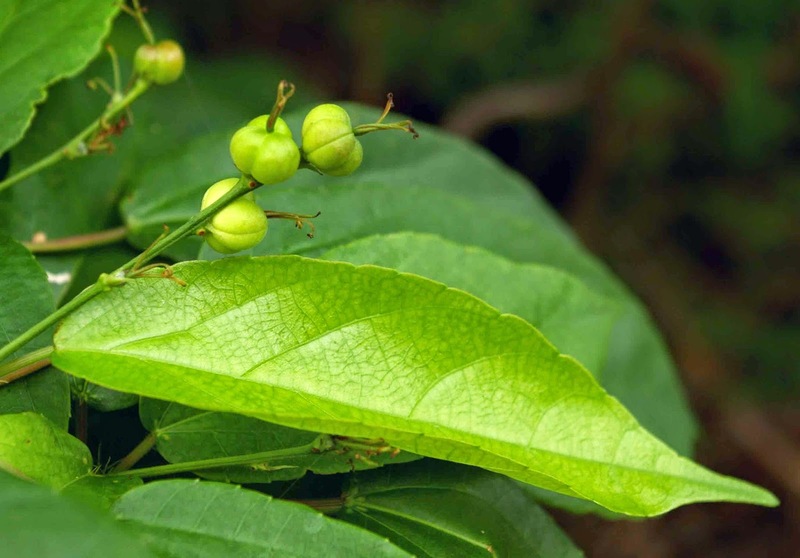 This rainforest herb also kills certain types of cancer cells. The clinical reports suggest that iporuru gives nutritional support to the muscles and joint structures in the human body. The reported analgesic and anti-inflammatory properties of iporuru have made it popular in the United States among individuals who suffer from problems like arthritis and other types of disorders in the joints and bones. 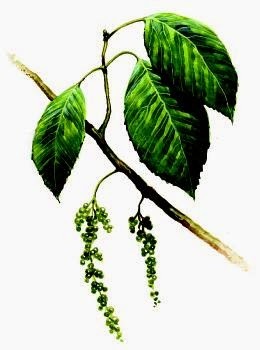 Iporuru (Alchornea Species) has been shown to contain steroids, saponins, phenols, flavonols, flavones, tannins, xanthones, and alkaloids. The anti-inflammatory properties are attributed to a group of alkaloids, including one called alchorneine, which are found in the bark of this and several other members of the genus. Iporuru has a high reputation as a medicinal herb in parts of S. America, though it is little known elsewhere. The bark and leaves are used for many different purposes and are prepared it in many different ways. However, it is especially valued for its anti-inflammatory and pain relieving properties and is also widely used as an aphrodisiac and general tonic to the reproductive system. It is commonly used with other plants during shamanistic training and, sometimes, is an ingredient in ayahuasca (a hallucinogenic, multi-herb decoction used by South American shamans). The bark of the iporuru plant is made into a traditional South American herbal remedy, this remedy is prepared by steeping the bark in the local aguardiente - a type of rum. This decoction is used to treat disorders such as arthritis, to ward off and control common colds, and to treat sore muscles and muscle pains that affect a person who has fished or hunted for many days. Traditional Peruvian health care practitioners usually give the iporuru herb as a treatment for rheumatism and impotence. This remedy is also used to lower blood sugar problems in people affected by diabetes and related metabolic disorders. Native Peruvians have historically used remedies made from the iporuru in treating the symptoms of chronic osteoarthritis and other joint disorders. There has been little clinical research on iporuru – despite its long history of use. That which has been done, however, does help explain some of its traditional uses. An ethanol extract of the stembark has been shown to reduce swelling and inflammation when applied topically. This extract also inhibits prostaglandin synthesis – these prostaglandins are linked to inflammatory processes and diseases and the inhibitory activity may, in part, explain the traditional use of Iporuru for treating inflammatory joint and muscle disorders such as osteoarthritis, arthritis, and rheumatism. Other research has supported Iporuru’s antifungal, antiviral, and antitumor activities. An ethanol extract of the herb has proved to be much more effective than a water extract. A tincture of the bark or leaves is used as a treatment for rheumatism, arthritis, colds, and muscle pains. Iporuru relieves the symptoms of osteoarthritis, and aids flexibility of the joint and range of motion. A decoction of the bark is taken before meals to prevent diarrhoea. The crushed leaves are anodyne. They are rubbed on painful joints and are beaten into a paste to apply to painful stingray wounds. The remedy is used in the treatment of gout; iporuru helps in the rapid elimination of accumulated metabolites and toxins in the body. Acute inflammation in the human body can be alleviated by taking the iporuru remedy. A decoction of the leaves is used as a treatment for coughs. The leaves are used to increase female fertility (mostly in cases where the male is relatively impotent). It is widely used as an aphrodisiac and geriatric tonic for males and is regarded as a remedy for impotency as well as for balancing blood sugar levels in diabetics. The plant has been gaining popularity among North American athletes and health practitioners recently; with reports suggesting that it provides nutritional support to muscle and joint structures. When the iporuru is combined in an herbal formula with the cat's claw herb, it is used to relieve inflammation affecting various parts of the body. If large and excessive doses of the herbal iporuru remedy are taken at one time, it can lead to an overdose and great discomfort.